Just moved in and wanting to jazz up your new pad? The stress is over, the bags and boxes have all been moved from one house to another. You’ve settled into your new house and now it’s time to make your house your home, putting your unique touch into your crib! If your bank balance is a little low then don’t worry, your options aren’t limited! Leeds is bursting with a selection of different stores and shops which allows you to give your pad a touch of your personality and colour. Take a look at our best picks to pimp out your pad this year and on the plus side you will not be left out of pocket. Another fantastic warehouse store who are a values-driven company with a passion to create products to make your home a better and cosier place. Every year a new choice of products is released, from kitchen essentials to bedroom decorations and much more. Typical things you may want in your home, large wall pictures, TV stands, candles, bedding, shelves etc. The assortment of products is immense and all comes at a very competitive price. If your preference is vintage and for things a little out of the ordinary, then you might want to pop into Retro Boutique. This long established and well respected boutique has an excellent range of classic retro furniture and all sorts of matchless treasures to give your pad character! One off items you will not find anywhere else such as copper floor lamps, 1970’s dining tables, stunning old-school vases, 1950s arm chairs and much more allowing you to give your house that dated twist. Housed over two floors, you will find this little gem on Hyde Park Corner. A delivery service is also an option if you can’t fit everything in your boot! 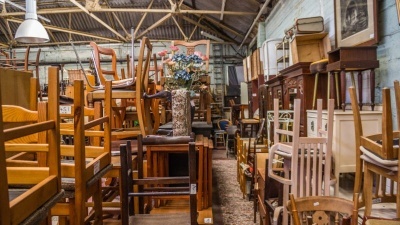 This vintage treasure trove is waiting to be explored, another huge warehouse split into two rooms, each of which is stored high with distinctive furniture fluctuating from chesterfield sofas to wooden carved dressing tables. If you’re not sure what you’re looking for in particular then this store may just pleasantly surprise you. Whether it’s buying yourself some vintage records for your living room or some artwork for your bedroom wall. Leeds: Scotch Park Trading Estate, Forge Lane, Armley, West Yorkshire, LS12 2PY. Full of items to make your house your home, this store brings you savings of up to 60 % less than the RRP on branded and quality homeware. 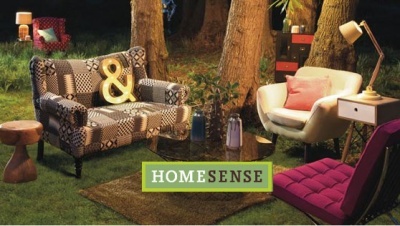 Homesense is part of the TKMaxx family therefore if you love TK Maxx home you’ll find oodles more to adore here! With over 8 departments varying from Stylish storage, Beautiful beds and Incoming accessories. Looking to improve your bedroom? Get cosy with decorative throws and cushions at reassuring prices. Beautiful boxes and baskets available from painted drawers to ostrich feather dusters, fun and quirky ways to tidy!